If you are just getting started with FPV, or a pro pilot having a good FPV simulator is never a bad thing. 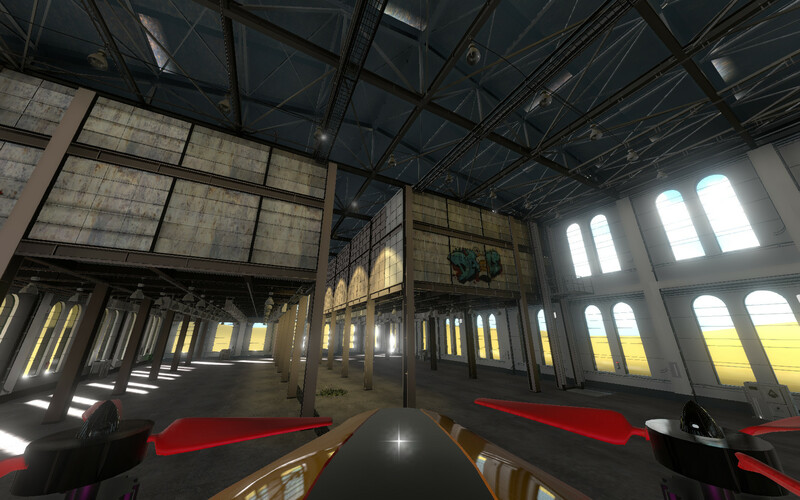 The main purpose of an FPV simulator is to help you practice flying or new tricks without the cost of crashing your new FPV quadcopter. But even if you are good at flying, if the weather is bad, you can still get your FPV fix of the day with a decent simulator. This article talks about which one we think is the best, but we also include all the other options out there for you to try yourself. What controller should be used? Cheaper way to learn to fly, if you crash, just hit the reset button. Improve your skills, or try new daring tricks before trying in real life. Still get your FPV fix if its raining outside. Have fun competing against other players across the world. Although you can fly an FPV simulator with your keyboard, or even a gamepad (like an Xbox one controller), the best thing to use is an actual R/C controller. This helps train your muscle memory when it comes to flying in real life. Some R/C controllers have a USB port that lets you connect them to your PC to be used with an FPV simulator, while others require some sort of dongle. 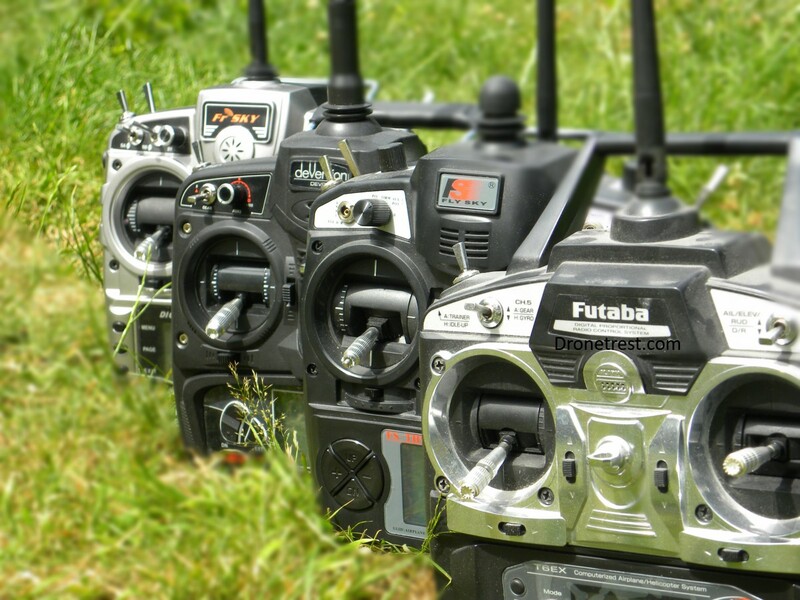 The list below highlights the most popular radios and what you need to hook them up. Specifics of hooking each up with a simulator should be covered in the respective manual. The Frsky Taranis series of radios are by far the most popular, and the best thing here is that they plug into your PC via USB cable, and your PC will detect it as a joystick and you can start flying, nice and easy. Other radios like the Flysky i6 or Spektrum are a bit more complex as you need to hook up a dongle and install drivers. The new kid on the block (Jumper), also just plug into your PC, but require you to setup a FPV simulator model on the radio for it to work. Most reviews you read will always comment on how real the simulator feels. I don’t think that it matters to the extent of feeling exactly like real life, as this is purely a matter of opinion. When you fly a friends quad or get a new one, it feels different to what you are used to but after a few minutes, you get the feel for the quad. For me, the most important thing in an FPV simulator is that it feels ‘real enough’. 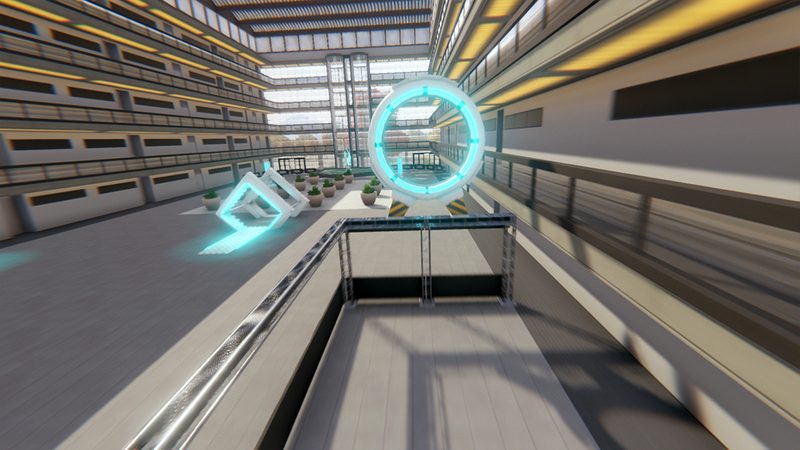 This ‘real enough’ level still gives you enough practice to get better in the real world, but not at the risk of crashing your shiny new quadcopter. At the moment there are two that stand out as being the best, VelociDrone and LiftOff. They are so closely matched so I could not decide between the two. Both have great graphics, and multiplayer, and cost the same. 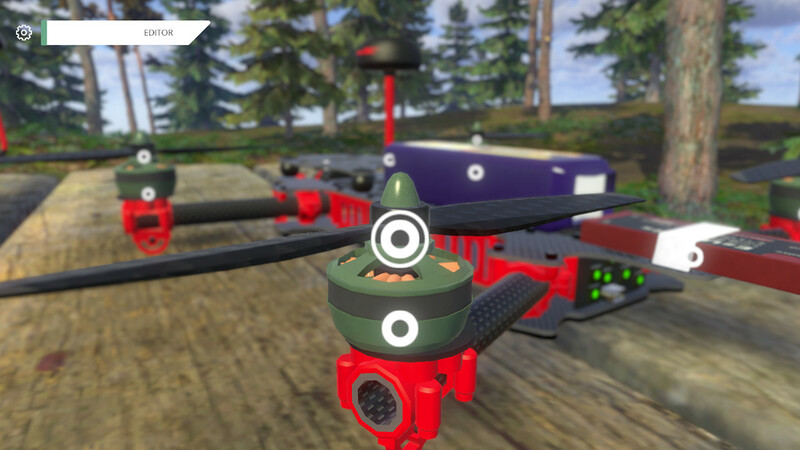 LiftOff is a more polished game that is more fun to play and has better drone customisation features thanks to the user community. 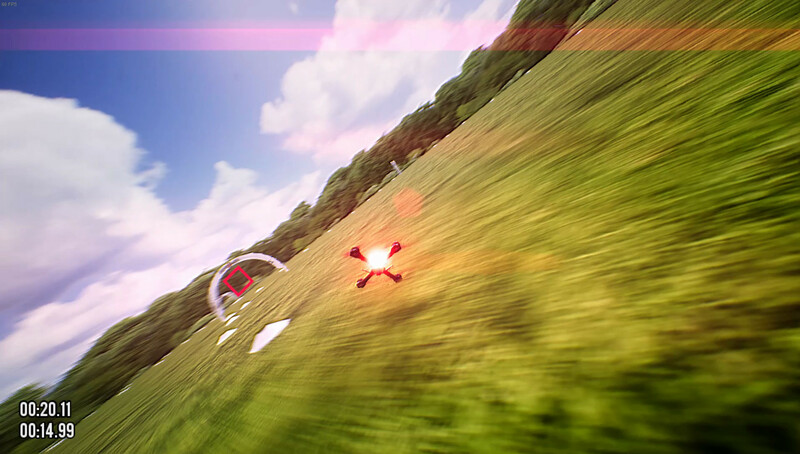 However, VelociDrone as far as a simulator goes is better giving you a much better ‘feel’ compared to real FPV flying. This is mainly because it essentially runs the betaflight controller software in the background. 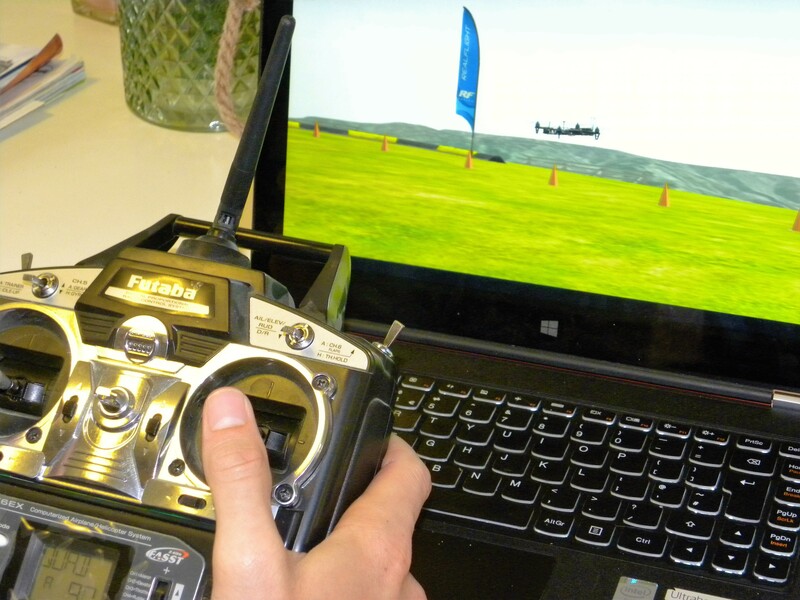 If you want the cheapest best FPV simulator then FPV air 2 is also a solid simulator. If I had to choose just one, I would say LiftOff wins. 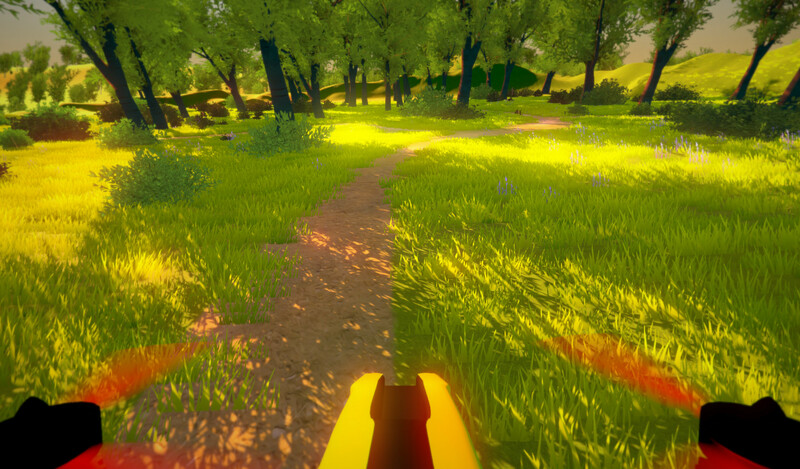 At the end of the day, it is much more fun to play and is a more polished product. Because it runs on steam, the game updates are easy, and the developers are constantly updating the game, making it better and fixing bugs. LiftOff is definitely more of a game than any of the other simulators, not because the physics are bad, (they are not) but because it is simply the most fun to play. 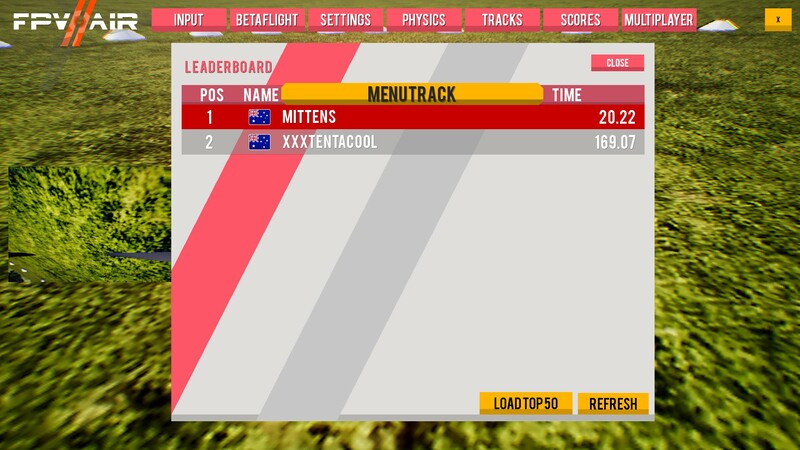 Online multiplayer is also great fun if you can’t go out and fly due to the weather. 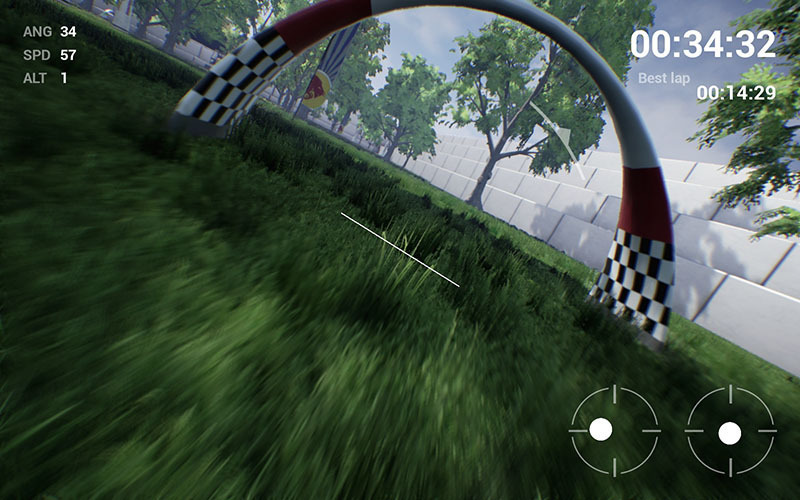 Apart from the racing modes, liftoff also features freestyle modes where you can get points for performing tricks. In terms of content, nothing comes close to liftoff. 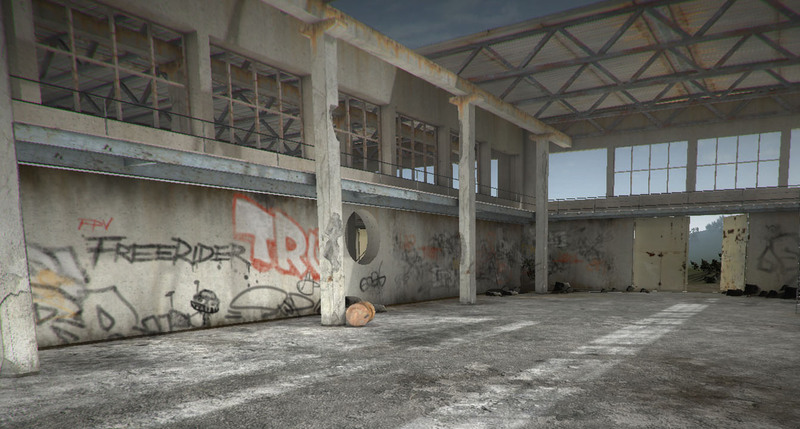 There is a huge selection of environments, tracks and quadcopters thanks to the user-contributed content on the steam workshop. As of me writing this article, there are over 2k tracks, and 400 drones you can choose from. 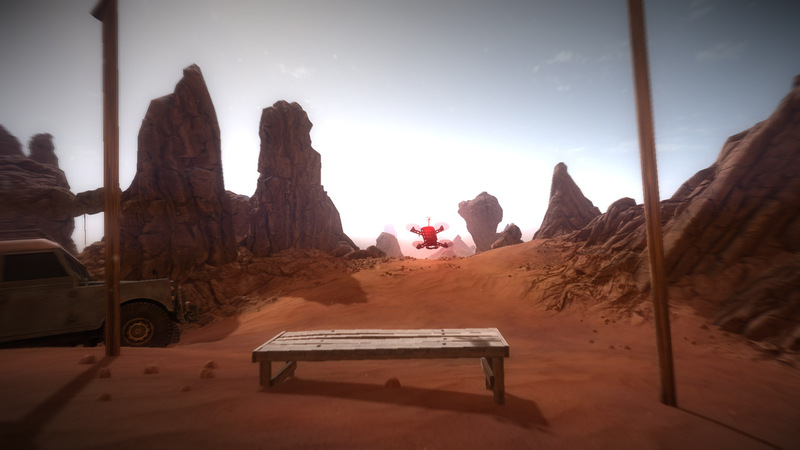 The main downsides of LiftOff are that you need a fairly decent gaming PC to run this game smoothly, and many people say that the game feels a bit floaty different to real flying. I personally don’t think this is a problem at all. Whenever you fly a new quadcopter it feels a bit different and after a few flights, you get used to it. I found liftoff no different, and as far as offering a system to learn to fly, improve my skills and have fun, I have no complaints here. As far as I am concerned, $20 is great value for money. The best cheap FPV simulator, it’s alot better than the price suggests, with customisable physics to get it to feel just right. 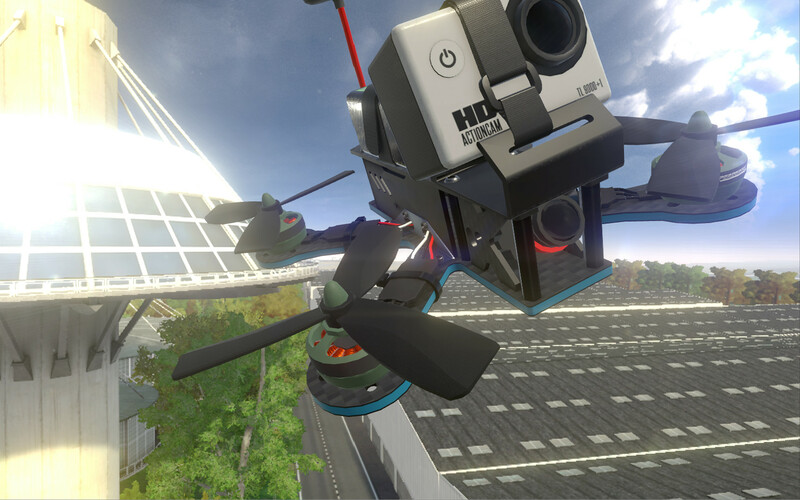 FPV Air is the most recent simulator on this list, and packs all of the features you want form a simulator. It is also the cheapest by far at around $5. 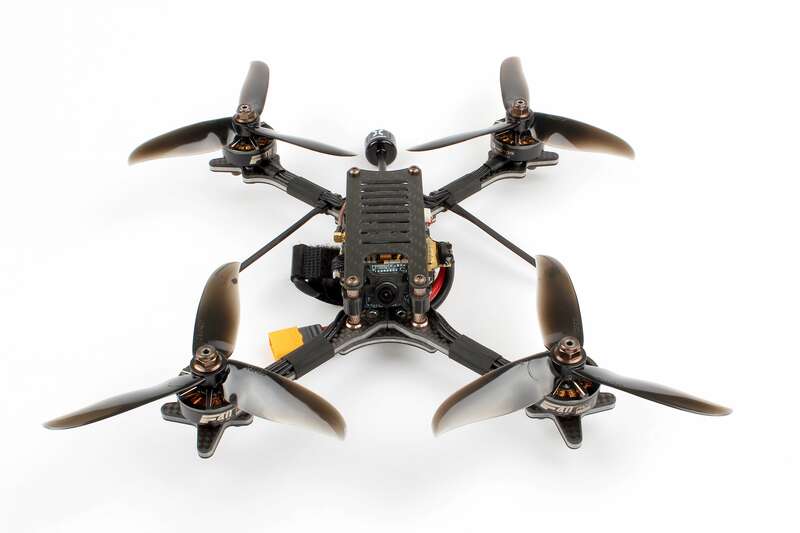 But despite this low price is holds up against the likes of liftoff and velicidrone. Because the development team is much smaller (just one guy) it currently lacks some polish and track selection compared to others. 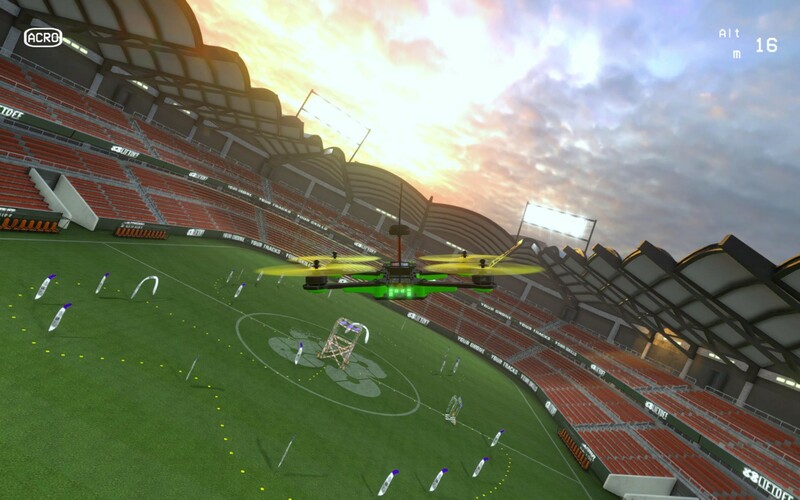 FPV Air 2 supports multiplayer which allows you to test your skills against other pilots around the world. 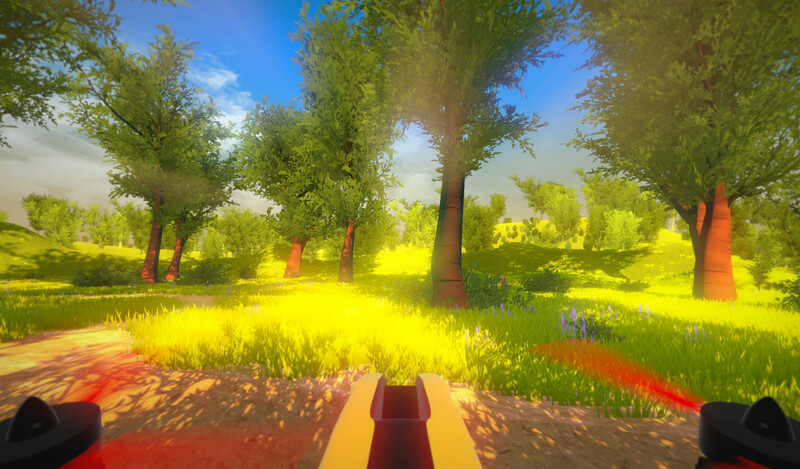 The graphics itself are good as the engine it is based on looks great, but bad at the same time, mainly because some of the models and trees look abit flat (but again its made by just one guy). And given the price its easy to overlook this. 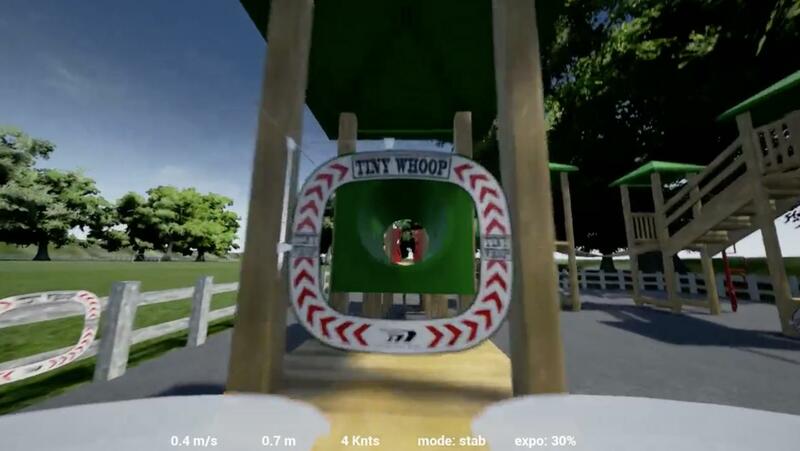 Apart from the price, the other killer feature is that the physics are fully adjustable allowing you to get the simulator to feel exactly how you want. Ultimately this simulator is well worth the price and makes you think twice about the value of the more expensive options. The best physics and FPV feel compared to other simulators. 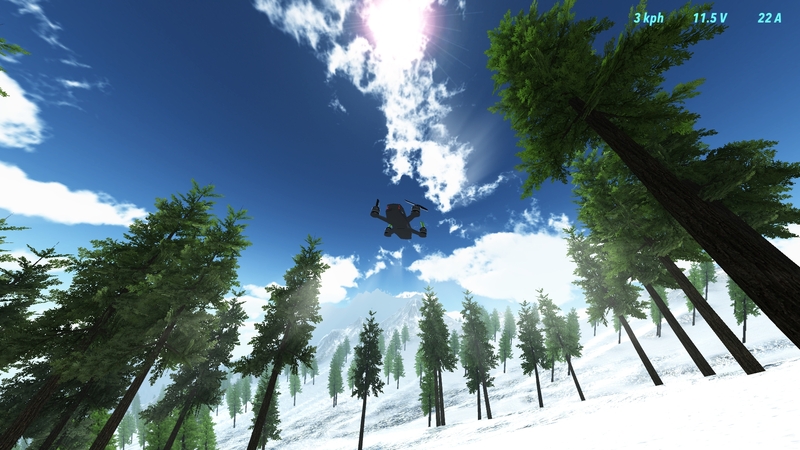 Velicidrone is known for having the most realistic physics and best flight feel compared to all the other simulators. 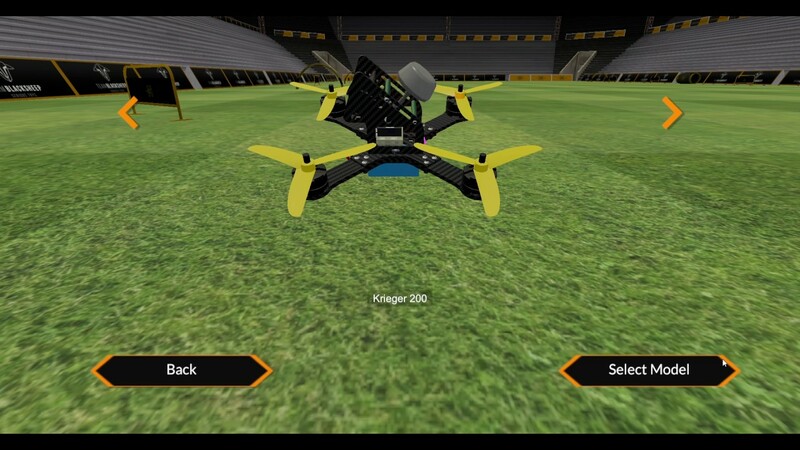 This has made this simulator one of the top FPV simulators currently available. 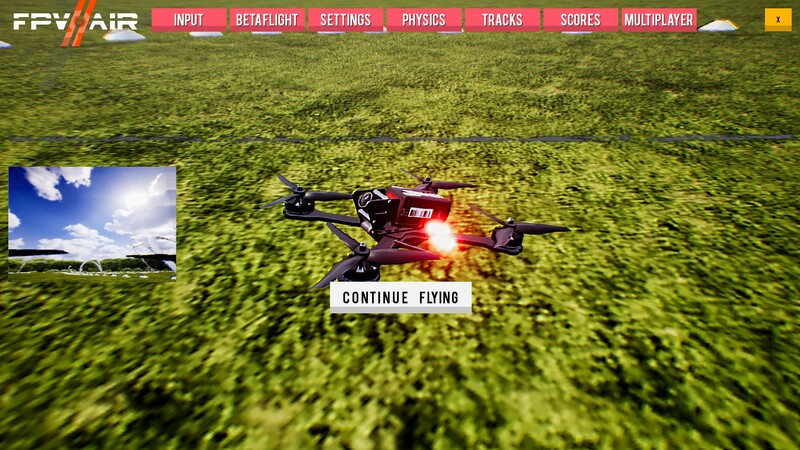 Velocidrone actually runs the betaflight firmware within the simulator itself which is why it feels so close to the real thing. 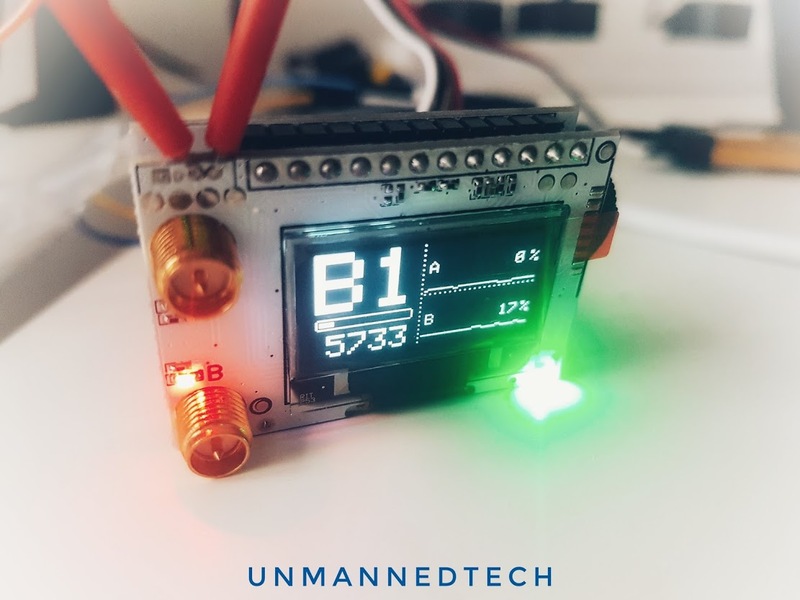 Furthermore setting your PID’s and rates are exactly the same in Velocidrone as it is in betaflight, so its a safe way to get used to messing around with these settings without the risk of crashing in real life. 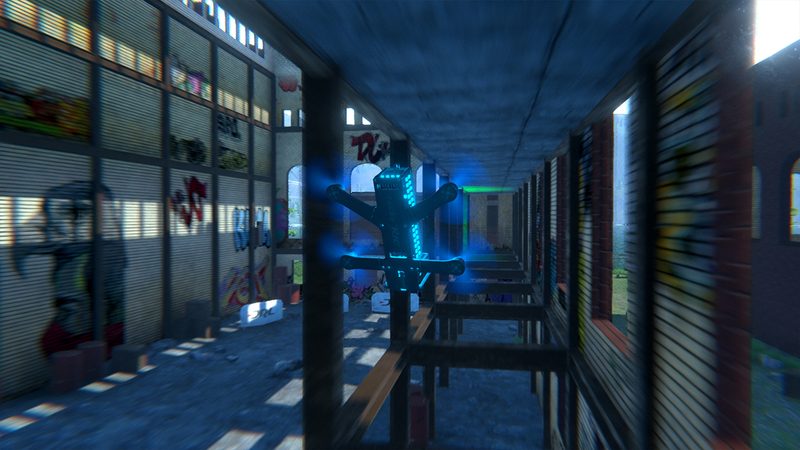 The graphics are not as good as liftoff, but this means that if you have an older PC, velocidrone might run smoother. 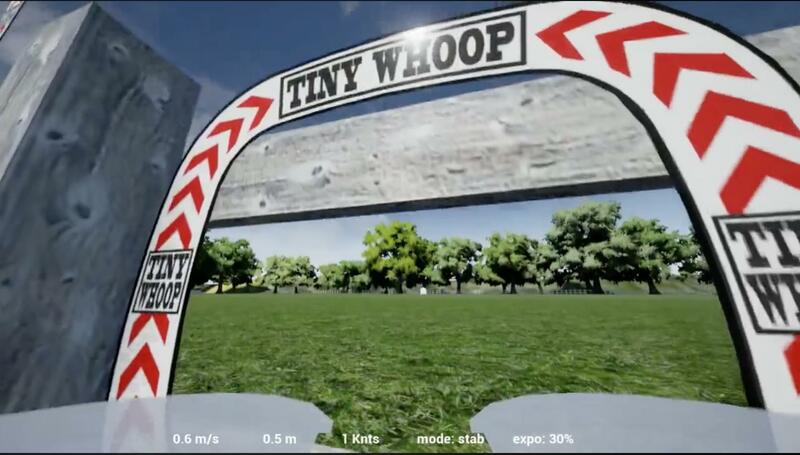 This FPV simulator also supports multiplayer which is a lot of fun racing against other people all over the world. The main drawback compared to LiftOff is that you don’t have as many drones to choose from, but velocidrone does have a track editor that lets you share your tracks with other pilots. Overall priced similarly to Liftoff (around $20), if you have a slightly older PC, or prefer a slightly closer to life FPV feel, then velocidrone is the best option for you. Decent graphics, multiplayer.. and its free! 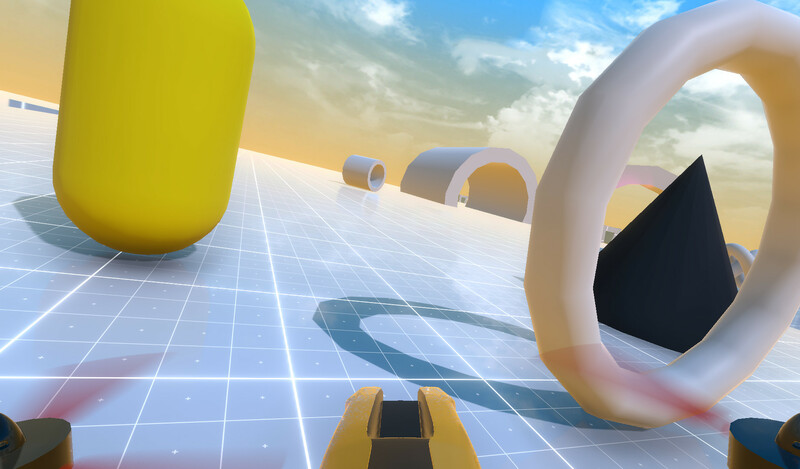 Right now, the creatively named FPV drone simulator is the best free simulator. It is still in active development so is getting better and better all the time. But just as the name suggests it gets down to business, this simulator is great with decent feel and graphics. 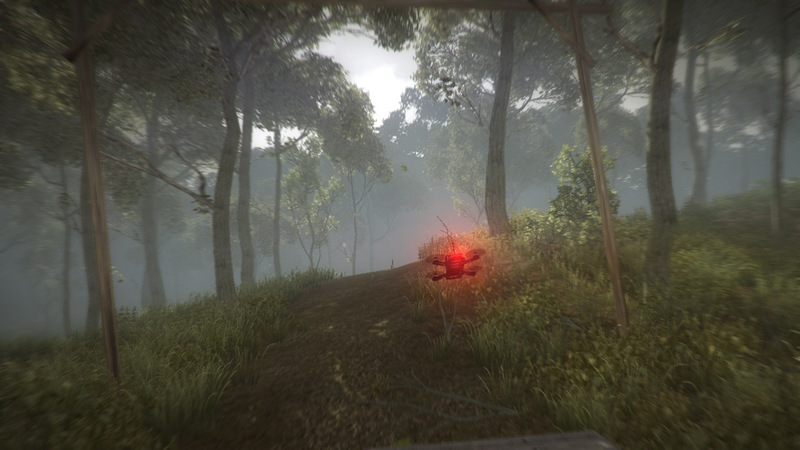 This game does come very close to that of LiftOff and Velicidrone and it is still less than a year old. 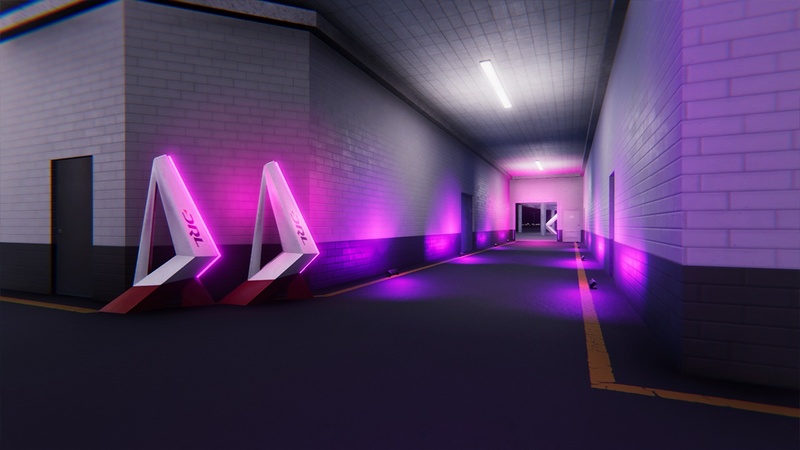 As this game continues to gain popularity it will get better and better, at which point I suspect it will switch to a paid option (like what the DRL simulator did). But right now this is the best free option available. It has a few odd bugs, but the developers are working hard at making it better and better. 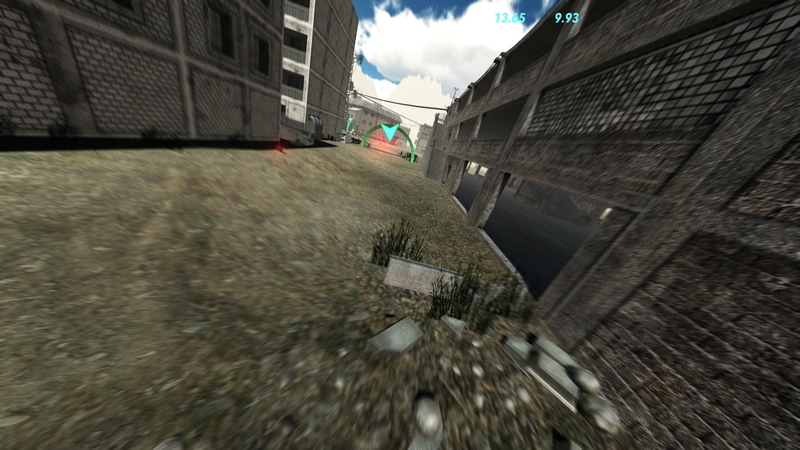 The FPV Drone simulator also recently added support for online multiplayer. 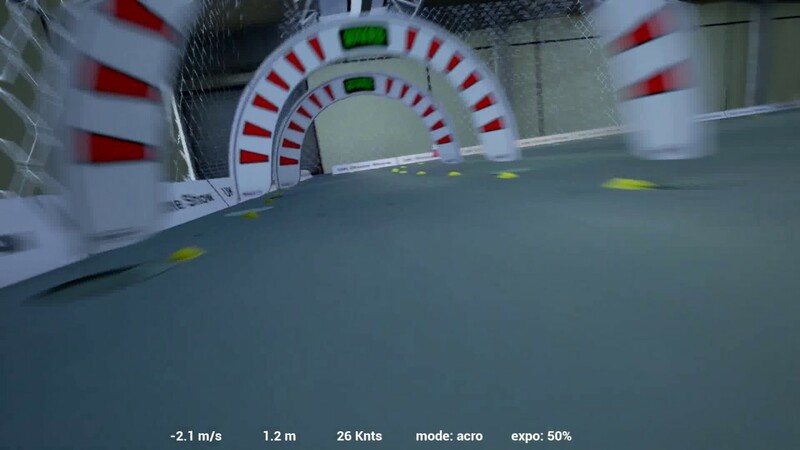 The DRL simulator used to be the best free simulator, however, they recently started charging for it (as of November 2017) so it can no longer be the winner here. 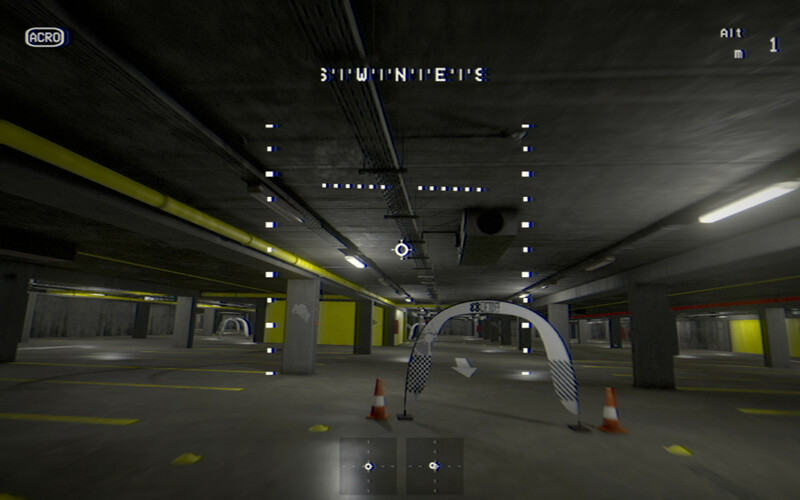 As far as the DRL simulator goes, it is very good and has excellent graphics. 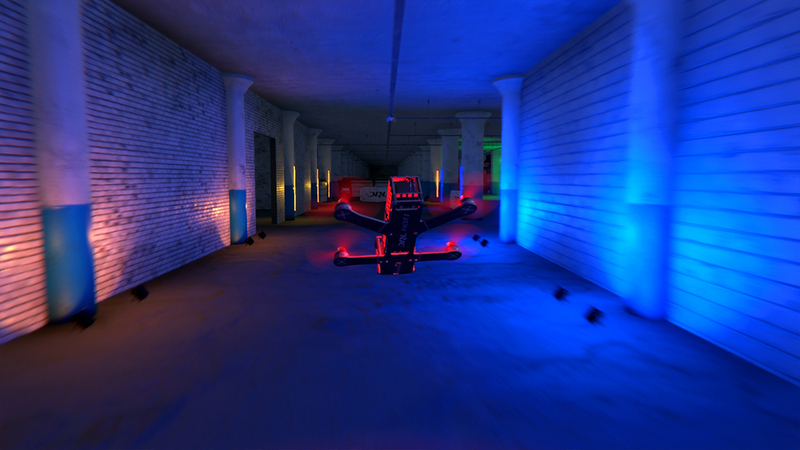 The DRL simulator still has some of the most fun tracks out there. When it was free, this was the goto free simulator, gaining widespread use among all FPV pilots. I would also recommend this to friends who wanted to get started with FPV. However now that it is no longer free (it now costs $20), there is little reason to buy this. 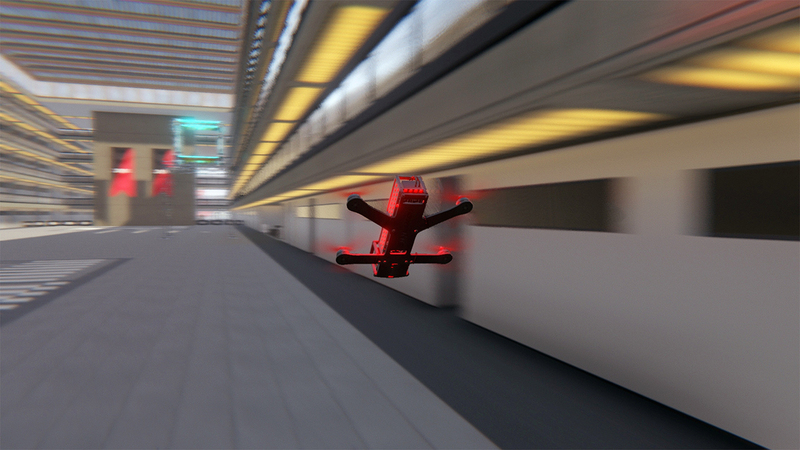 You can only fly the official DRL drone, and compared to velocidrone and LiftOff, the flight physics are not nearly as realistic. 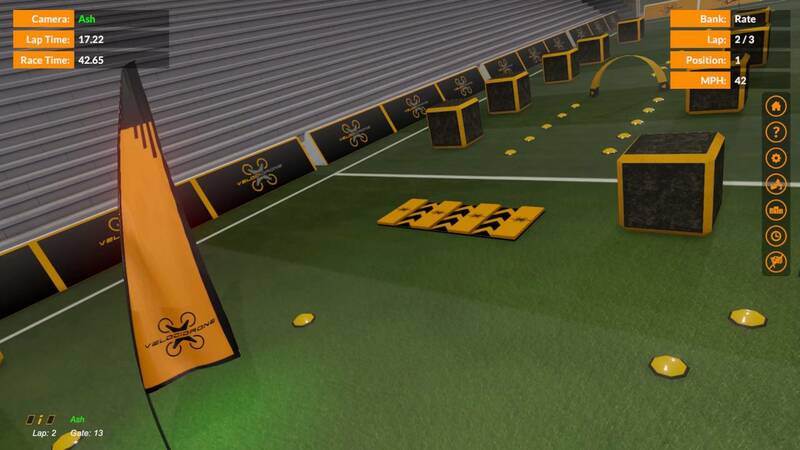 Unless you are a massive fan of the DRL show and want to race on the official courses, there is little reason to buy this game. 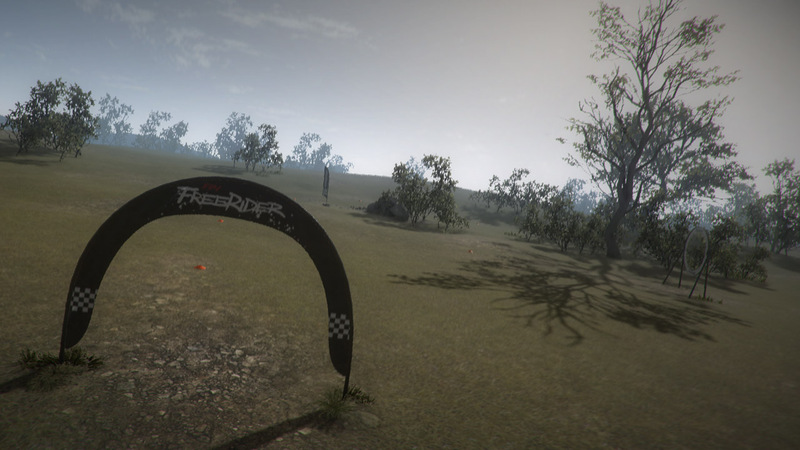 This was one of the first dedicated FPV simulators and has recently been updated in the FPV Freerider Reloaded edition which includes updated graphics and refined flight physics. Overall the revamp has been well received. This is still one of the cheaper simulators with great looking environments. 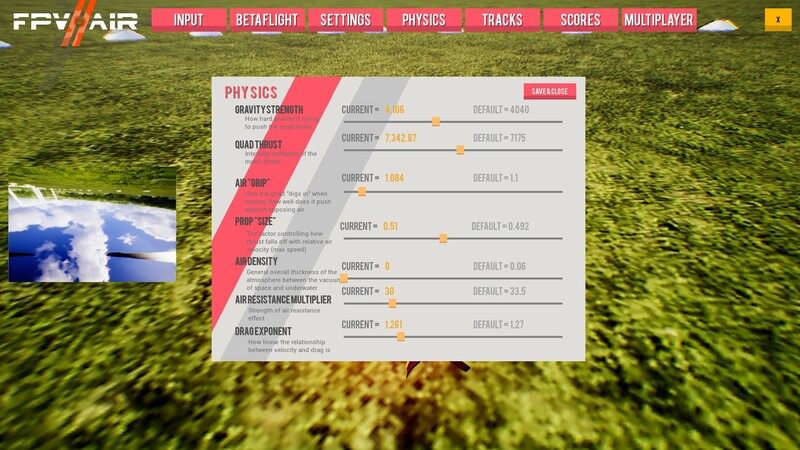 Another nice feature is that this simulator lets you edit the physics. 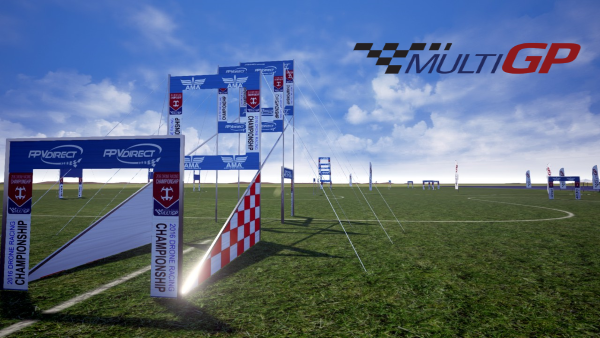 If you care about online events and racing rotor rush is great, but is it the most expensive with its subscription based pricing model at £4.00 per month. 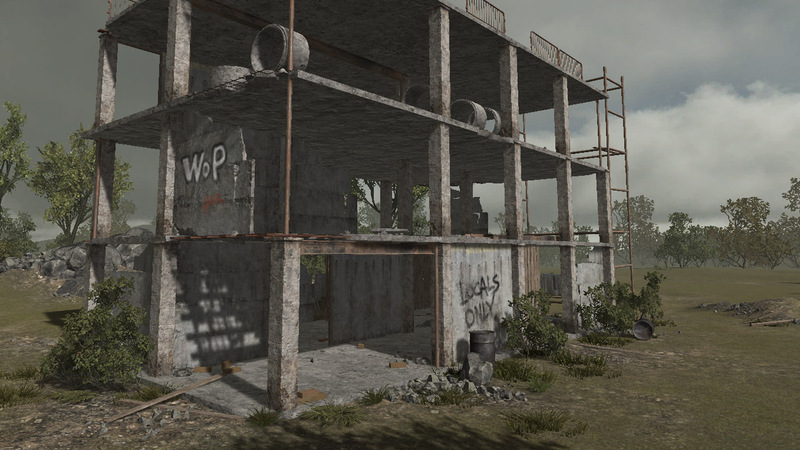 In its day, hotprops was one of the most popular simulators. Not only was it free, but it has some very nice levels and had multiplayer support. However as of November 2017, the hotprops project has been cancelled, their website has gone down with no sign of coming back. 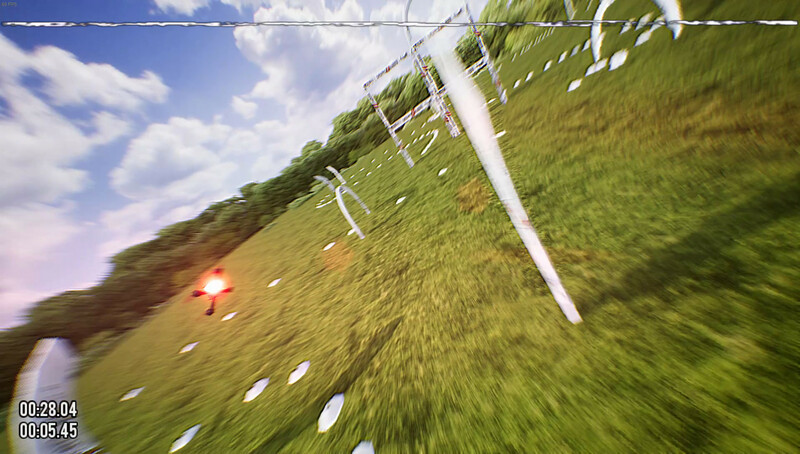 Rotorcross is an open source FPV simulator, but the main developer has since stopped actively contributing towards it. 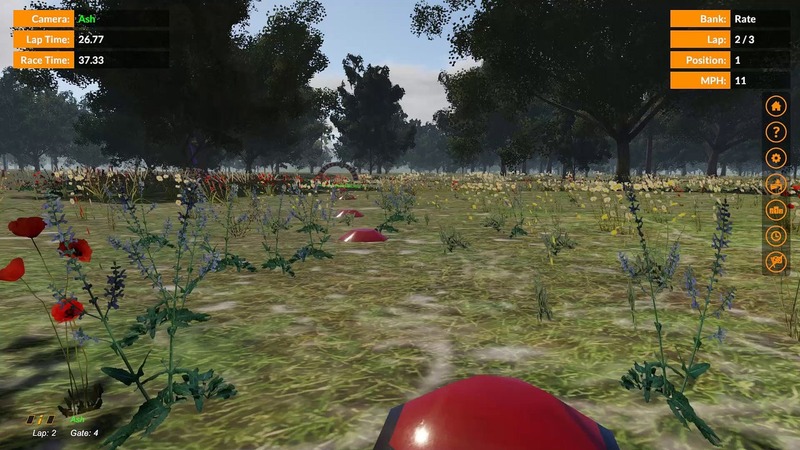 The best part of this simulator is that it is open source, and at the time attracted other developers to add unique and interesting features. 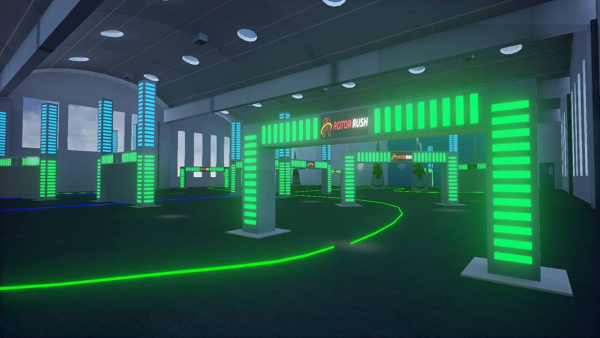 At the time of release it was great, but as more paid for simulators have been released, rotorcross has become quite outdated. I am still including it here for anyone who is interested to see the code behind an FPV simulator. I hope this article has helped point you in the correct direction when it comes to deciding what FPV simulator to buy. There are many other simulators, some specific to R/C in general, or others that are still in very early days. If you have any suggestions, tips or think I forgot to mention a simulator, please let me know. Otherwise if you have any questions just ask! Thanks for reading. Eachine Pro58 Firmware mashup - which is better?